The Business Software Alliance, a trade group representing Adobe, Apple and Microsoft, has been caught using a "stolen" photo in one of their anti-piracy campaigns. The group is running various Facebook ads to convince people to snitch on pirates, but this effort has backfired terribly. 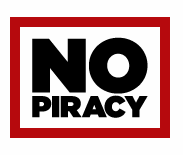 A few weeks ago we reported on a controversial anti-piracy campaign operated by the Business Software Alliance (BSA). 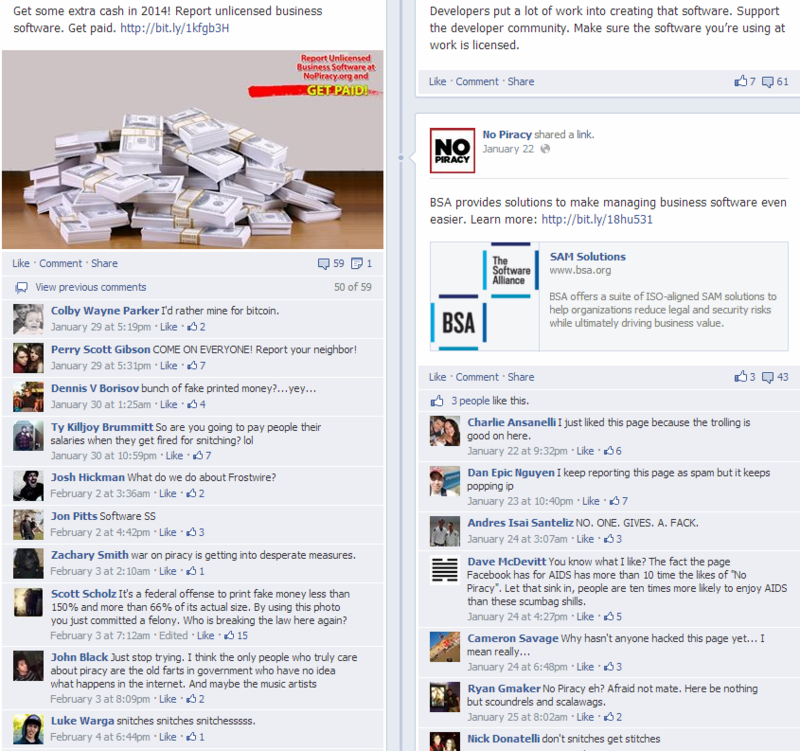 Representing major software companies, the BSA is using Facebook ads which encourage people to report businesses that use unlicensed software. If one of these reports results in a successful court case, the pirate snitch can look forward to a cash reward. Below is one of the promoted Facebook posts that appeared in the timeline of thousands of people on Saint Patrick’s Day. It features a homemade cake in the shape of a pot of gold and sends a clear message to the readers. “Your pot of gold is right here baby. 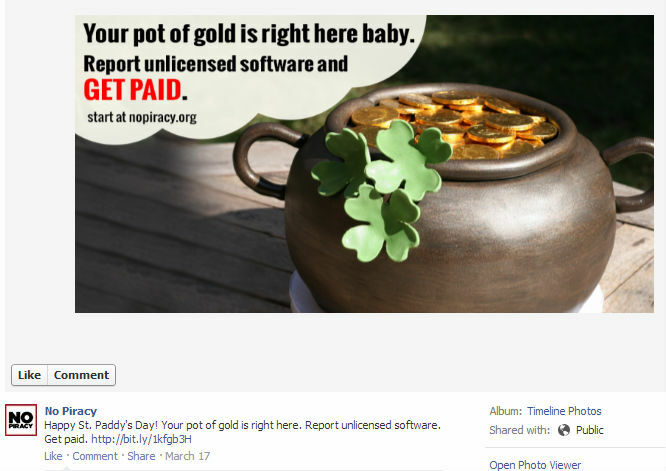 Report unlicensed software and GET PAID,” the post reads. The ad is a bit misleading, since those who read the fine-print realize that the pot of gold is as unreachable as any. However, there’s a more worrying issue with the ad. On closer inspection the photo appears to be lifted from Cakecentral where a user named ‘bethasd’ posted her home-baked creation. Indeed, all signs suggest that the photo for this campaign wasn’t properly licensed, but pirated by the BSA. Hoping that this was all a misunderstanding, TF contacted the BSA yesterday afternoon, asking for a comment. Thus far the group hasn’t responded to us, but an hour after we sent the inquiry the infringing photo magically disappeared from Facebook. Luckily we made a copy, and so did Google. So while the BSA didn’t comment, their attempt to cover up the situation clearly shows that they didn’t have the right to use the image in question. Needless to say, that is more than a touch ironic, especially for an image that’s being used in an anti-piracy campaign. We encourage ‘bethasd’ to get in contact with the software industry group, and demand both licensing fees and damages for the unauthorized use of her photo. Surely, the BSA will be happy to hand over a pot of gold to her. For the BSA it’s probably wise to reconsider their marketing strategy on Facebook. 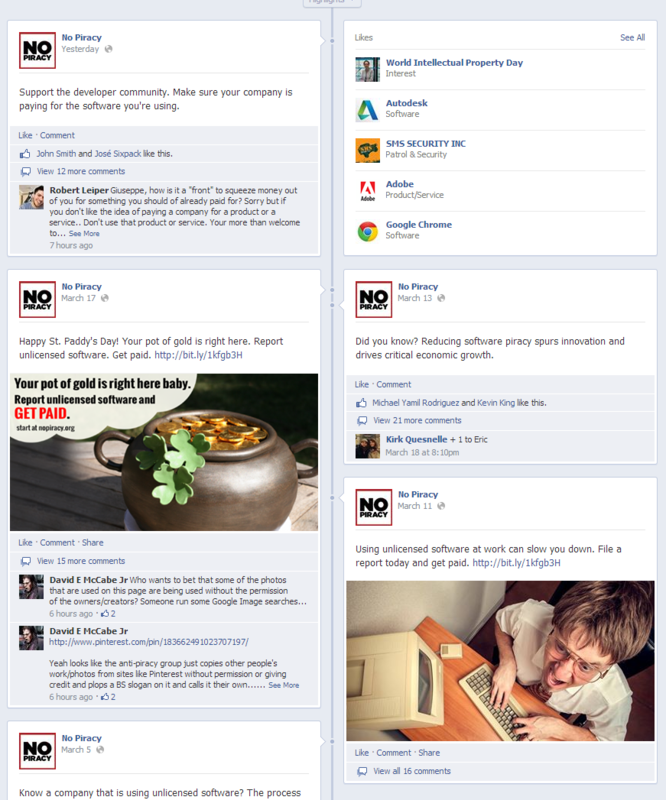 Right now the overwhelming majority of the comments are negative, which defeats the purpose of the campaign. c There are 64 comments. Add yours?